Have you ever visited an office with an atmosphere that keeps bringing you back? An office that has high customer traffic and friendly employees? These are reasonably common observations when doing business with a company. What you might not have noticed was the office air is fresh, and the carpets are impeccable. Ever wonder how a work environment can feel so welcoming and how a company can keep their carpets looking so good that you did not even notice them? The answer is commercial carpet cleaning. Here are a few reasons why commercial carpet cleaning goes unnoticed and why your company should consider trusting your carpets with the professionals. We all know how important first impressions are. When it comes to your office space and its carpeting, keeping up their appearance is no different. It is easy to notice stained or dingy carpeting and be completely turned off by its surrounding environment. However, clean carpet is a primary component of a hospitable environment. Whether it be impressing a client or providing a clean atmosphere for coworkers, commercial janitor services will have your company putting forth the best appearance possible. As you go about your day-to-day business, you probably do not realize the damage done to your office carpeting. Without commercial carpet cleaning, this constant daily wear, and tear of food or drink spillage and foot traffic can result in permanent stains and breakage of carpet fibers. In addition to any visible damage, soiled carpets are a breeding ground for germs, bacteria, and mites causing further harm. Regular professional cleaning can aid in protecting and prolonging the life of your carpeting. The air quality in your work environment is just as important as the air quality of your home. If your office has carpeting throughout you may be breathing in pollutants like quick forming dust, mold spores, and pollens without even knowing. If levels of these contaminants are high enough, those who work in the environment could start suffering physical symptoms and fall ill. If your office air quality is weak, the importance of green cleaning cannot be ignored. This service can help rid your office of harmful contaminants while using safe, environmentally friendly products. Cleanliness of one’s environment has been shown to have an effect on a person’s performance in said environment, whether it be school or work. 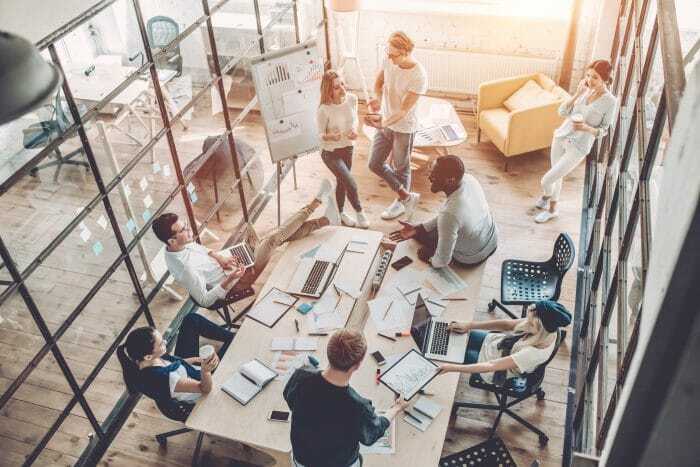 Not only is a dirty office distracting, but it can also be hazardous to employees’ health, which can ultimately result in taking days off for illness. Keeping a clean office space with the help of commercial carpet cleaning will have your employees feeling their best in their work environment and, in turn, are likely to be more productive. When it comes to commercial carpet cleaning, it is okay to go unnoticed. That goes to show that the job was completed so well that customers and coworkers can go about their business without any concerns regarding the appearance, cleanliness, and health of their surrounding environment. B2B Guide – What Types of Cleaning Services are Right for You? Having a clean and sanitary office is vital to your company’s success. It helps to get things organized, prevents sickness and improves the general quality of life around your business. Instead of full-time custodians, most companies hire professional cleaning services to take care of their needs. Companies do this because an outside company can come in after hours and work quickly and efficiently to ensure the office is spotless. You probably have several options so be sure your choices fulfill the following categories. 1. Cheapest isn’t the Best Option. Businesses are always considering their bottom line, but there is an old saying that goes “you get what you pay for,” and it is doubly true here. When exploring your different options, you need to consider additional factors. Do they provide their cleaning supplies and equipment? Are they specialized in green cleaning? These are essential questions because many of the cheaper providers do not have all the equipment they need or use harsh chemicals which hides the real cost of having to provide all these things. You want to get price quotes from a few different companies so you can see what the service includes. Once the commercial cleaning company visits your office, they should provide you an estimate for the work. Be sure it itemizes the services they provide. They should all include standard things like vacuuming, mopping, dusting, sanitizing and so on. 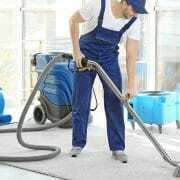 If you have carpets in your business, they should also experience a deep clean once in a while. The company you hire should provide some extras like seasonal carpet cleaning and other added incentives to keep them around. 3. Read the Contract Thoroughly. This seems like common sense, but often by the point where we have found a right housekeeping services partner, we are just dying to sign. If you sign a contract, you get locked into a given amount of time. Make sure you have recourse in case you are not satisfied. For example, you may want to go with a company that provides a month-to-month option are allows you to break the contract if you give a few week’s notice. More than anything, you’ll want to make sure they are flexible to match any changes in your company. A well-established commercial cleaning company will have some solid references. Consider this; your office contains a host of valuables from electronics and office supplies to company property along with countless intangibles. You want to be sure you can trust the cleaning team. Check out some of their other clients and even give them a call out of the blue. You’ll be surprised (either good or bad) what people will say when unprompted. This can be for big and small things. Good cleaning services aren’t just ones they are reliable and honest, but also once they keep your organized. When it comes to finding the best cleaning services for your company, it’s all about taking the time to do a little research and making sure you see a company with the right values. The best janitorial cleaning companies will be able to help you not only have a clean office but also help you reduce business expenses to ensure your businesses efficiency and success! https://shinefacilityservices.com/wp-content/uploads/2018/07/Shine1.jpg 584 1120 shine https://shinefacilityservices.com/wp-content/uploads/2018/05/Shine-Logo-3.png shine2018-07-20 17:02:492018-08-22 14:55:01B2B Guide - What Types of Cleaning Services are Right for You?